In a Dark, Dark Wood was pretty good. Not my favorite from Ruth Ware but I did like it much more than The Woman in Cabin 10. I thought this was the most creepy of Ruth’s books and it definitely did keep me entertained. I didn’t think the concept was the most original but it’s a classic creepy set up and you can’t really go wrong with it. Something I’ve struggled with when it comes to Ruth’s books is connecting to the characters and really loving them. I just couldn’t seem to get into any of the characters in this book. I felt very neutral towards them and I wasn’t very emotionally invested. 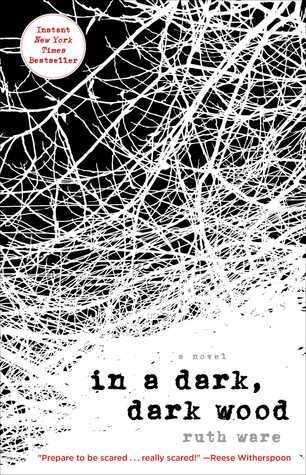 I really liked the writing in In a Dark, Dark Wood and I thought the writing actually kept this book alive for me. I did find the first 3/4 of this book to be better than the last 1/4. I can’t really put my finger on what changed for me in the last 1/4 but it wasn’t quite there for me. Overall, I enjoyed In a Dark, Dark Wood and would recommend it if you’re looking for a quick, entertaining thriller. It’s not the best book I’ve read but I think it’s worth checking out.